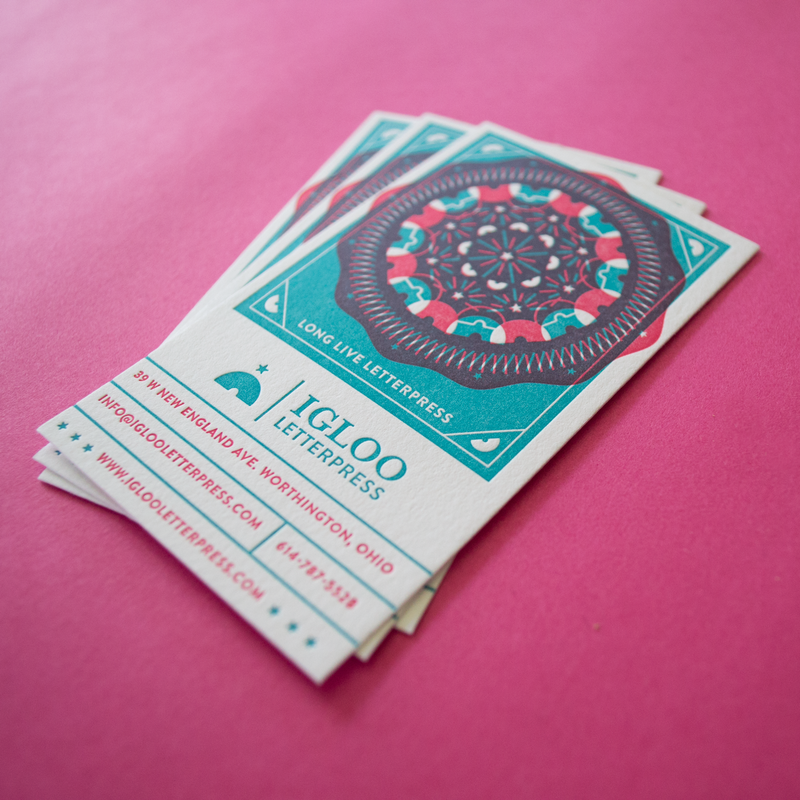 We were super stoked to get some business card samples back from Igloo Letterpress today! This winter we worked with them to design some new employee business cards, as well as these oversized store cards. 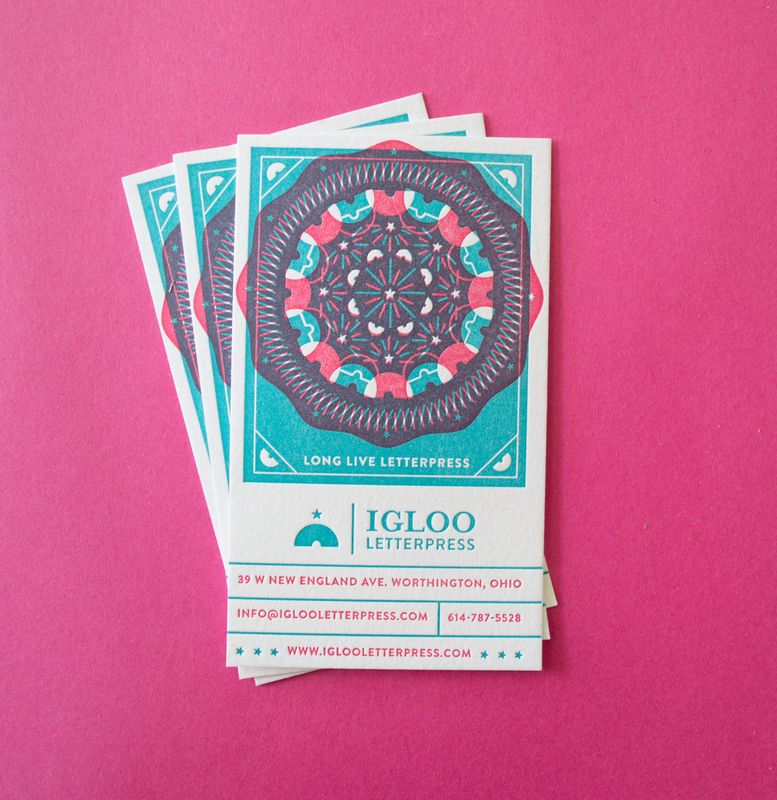 We used their signature Igloo logo and an overprinting technique to design the cards to have a great looking (great feeling) kaleidoscope effect. Stop in to their Snow House Gift Shop to pick one up in person and shop some letterpress and other local handmade goodies! Imaginary Beast is Columbus, Ohio based creative studio owned and operated by Rachel Dangerfield. © 2013 Imaginary Beast & Rachel Dangerfield. All rights reserved.. Simple theme. Powered by Blogger.